LUXURY HOOD RIVER HOTEL WITH AMAZING VIEWS OF THE COLUMBIA RIVER GORGE! 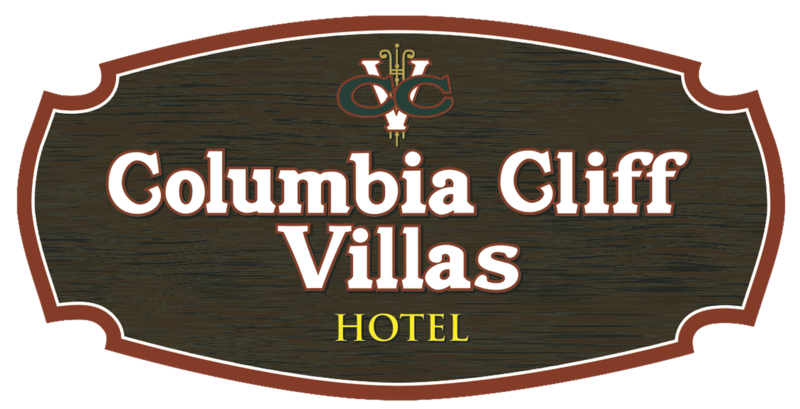 Columbia Cliff Villas Hotel offers a wide variety of luxury hotel suites and “Euro-style” lodging accommodations in Hood River, Oregon, just one scenic hour from Portland. Situated on the edge of a 210' cliff, guests can take in the breathtaking views of the Columbia River Gorge National Scenic area, one of the Northwest’s top rated destinations. Our Columbia Gorge boutique lodging and conference venue is also ideal for weddings, company meetings, business retreats, ski vacations, group retreats, a romantic honeymoon vacation or just a very romantic getaway. Our collection of hotel rooms and villa suites range from 1 to 3 bedrooms with privacy lockout doors, optimal for accommodating families, friends and team building sessions. Each spacious villa combines old-world boutique hotel charm and craftsmanship with exquisite furnishings and gourmet kitchens. From this inspirational Columbia Gorge cliff-edge perch you can take in the splendor of the National Scenic Area and enjoy dining or pamper yourself at the new spa facility located in the adjacent historic Columbia Gorge Hotel. So, when you are looking for Hood River hotels, look no further...we are sure to have the Hood River lodging and accommodations, just right for you!